Breast milk has been the inspiration for Nutricia’s research for over 40 years. 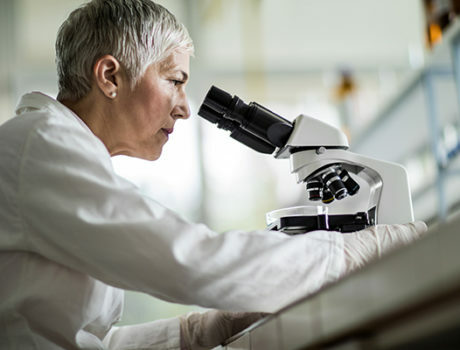 Our dedicated team of around 250 specialist scientists collaborate with hospitals, laboratories and universities worldwide to ensure we’re leaders in this field. While much of our research analyses the incredibly complex composition of breast milk and explores its functional health benefits, we also seek to better understand how the diet of the breastfeeding mother influences her own health. 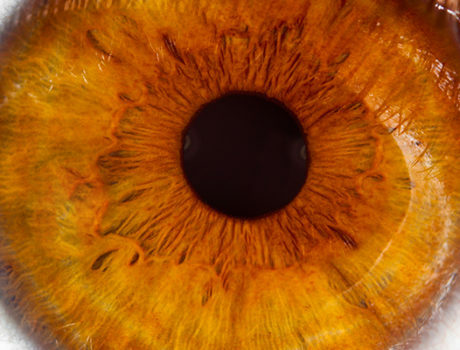 Our research has already resulted in several innovations in formula composition. Follow our pioneering journey through time. 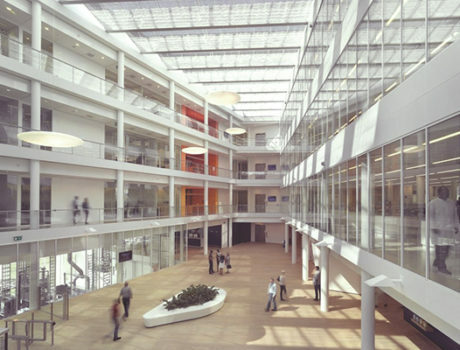 Nutricia opens its first research centre dedicated to baby nutrition in Zoetermeer, the Netherlands. 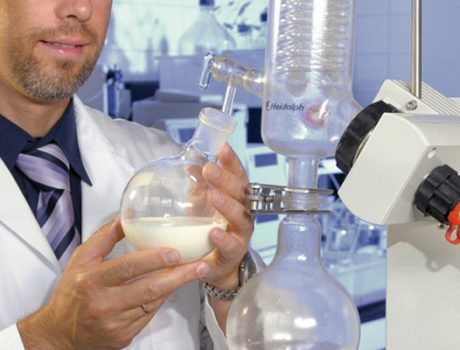 Since then, the centre has applied state-of-the-art technologies to build extensive scientific expertise in the analysis of breast milk ingredients. Our research into breast milk’s effects on healthy growth leads to the development of a formula nutritionally tailored for preterm infants. We develop the first formula for infants with food intolerances. We discover long chain polyunsaturated fatty acids (LCPs) in breast milk and are first to add them to our formula milk. The discovery of human milk oligosaccharides in breast milk, which have a positive impact on a healthy gut flora and the immune system, leads to the development of our unique patented blend of Galacto- and Fructo oligosaccharides (GOS/FOS). Our understanding of breast milk inspires Aptamil with Pronutra+ our unique blend of ingredients. Inspired by the complex composition of breast milk, Nutricia develop Aptamil Profutura. Its fat structure is closer to that of breast milk and it contains the highest levels of LCPs in any of our formulations. 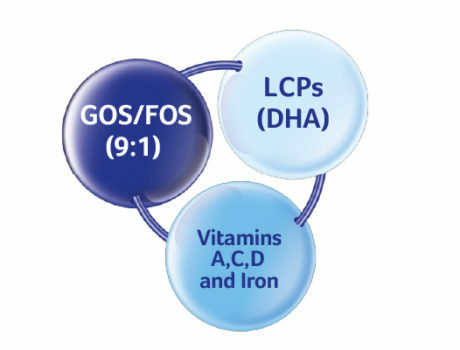 It’s also the first term formulation to include phospholipid-bound LCPs. 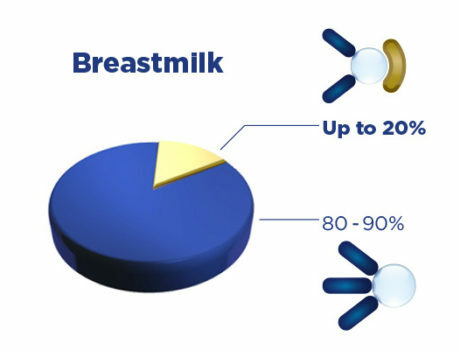 Nutricia’s scientific research into the unique properties of breast milk continues. What will we discover next?